Life is filled with twists and turns with unexpected events happening throughout. Sometimes we are prepared, other times we are taken totally off guard. In the second week of December 2018, I came down with a virus that came and went throughout the Holiday Season but never let its hold of me. Right after New Year's Day, it was obvious this virus was much more serious and, after a series of tests that told me was I did not have (other than I was anemic) I was admitted to the hospital and spent a week getting poked, prodded, MRI'd, more blood was taken and it was discovered that I had an infection in my blood and it was attacking me in numerous ways. Thanks to several hard-working physicians associated with Middlesex Hospital here in Middletown, CT, the infection is being handled by a six-week daily treatment of antibiotics. My great thanks go to the wonderful nurses and PCTs who helped me through the darkest hours and the long, ugly, hours of worry. It's good to be home, great to be digging back into music, and exposing some fine new music for the readers. Thanks for your patience! 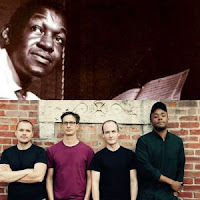 In the midst of the illness, I received a note from drummer-arranger Lucas Gillan who, judging by the name of my blog, thought I might have more than a passing interest in the music of pianist and composer Herbie Nichols. 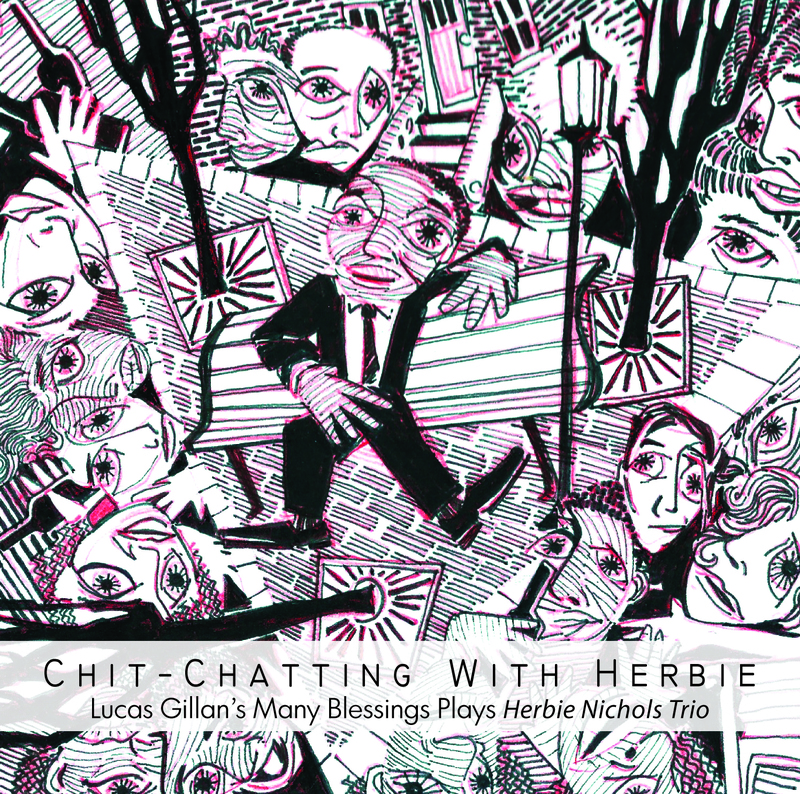 Gillan, based in Chicago, IL, leads a quartet known as Many Blessings and, on the 100th anniversary of Mr. Nichols's birth (1/03/19), released "Chit-Chatting With Herbie: Lucas Gillan's Many Blessings Plays Herbie Nichols Trio" (JeruJazz). It's a track-by-track rearrangement of Mr. Nichols's 1956 Blue Note album that featured bassists Al McKibbon or Teddy Kotick pus drummer Max Roach. 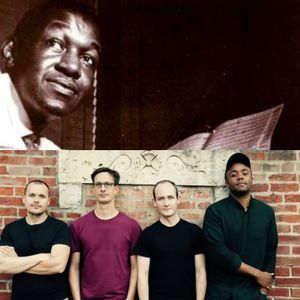 Gillan arranged the music for his quartet that is composed of Quentin Coaxum (trumpet), Jim Schram (tenor saxophone), and Daniel Thatcher (bass). This is not the first time that an ensemble with reeds and brass have approached Mr. Nichols's music (The New York Jazz Composers Collective created an offshoot called The Herbie Nichols Project in the mid-1990s and released three albums - the band included pianist Frank Kimbrough) but the first I can recall without a pianist. If you are a Herbie Nichols fan (and he's become a cult figure in the last four decades well after his passing in 1963), then you will love "Chit-Chatting...". The sax and trumpet share the melodies while the rhythm section create a delightful cushion while prodding, poking, and supporting the front line. Coaxum's trumpet is especially lively throughout while Schram's has a bluesier side. They complement each other well throughout. Just listen to the opening "The Gig" - Gillan sets the dancing beat and gets a boost from the bass and then the trumpet and sax glide through the melody. There's a hard-bop feel akin to Clifford Brown and you can hear the joy in the musicians the way you could when Brown played. There's a handsome reading of "The Lady Sings the Blues", a melody that Mr. Nichols wrote for Billie Holiday. One can't miss the blues feel and the sense of melancholy but there are also moments of joy. The subtle humor and thick beat of "The Spinning Song" moves forward in a sly manner (Gillan's drums are so melodic on the theme) while "Hangover Triangle" stumbles forward on thick bowed bass lines and sharp drumming while the trumpet and saxophone deliver the theme in less than 75 seconds. The album closes with George Gershwin's "Mine" (from the musical "Of Thee I Sing"). Gershwin was Herbie Nichols's favorite composer and here the quartet sing out the melody line supported by the powerful drums and solid bass lines. 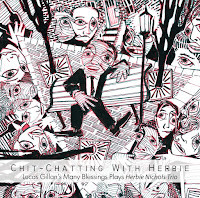 "Chit-Chatting With Herbie" is a splendid tribute, one that goes beyond mere copying the original arrangements and being faithful to the sound. The music sounds fresh, contemporary, and joyous! Kudos to Lucas Gillan's Many Blessings as their performances and music will raise your spirits on the dark nights of winter and year-round. For more information, go to lucasgillan.com. I actually wrote this review early in December but never got to publish it. So, I'm playing "catch-up." 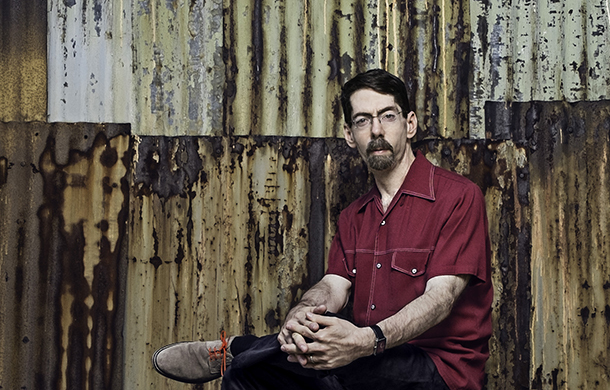 Over the past several decades, pianist and composer Fred Hersch has recorded and released numerous live albums with his various ensembles as well as a solo. 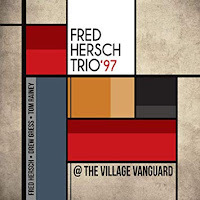 His latest Palmetto Records release "Fred Hersch Trio '97: @ The Village Vanguard" was recorded in July 1997 during the first time the pianist had a week as a headliner at the famed New York City club. While he had no intention of releasing the tapes, Hersch was quite pleased as he listened to the three sets recorded on the Friday night gig. He had been working with bassist Drew Gress and drummer Tom Rainey since 1991, recording several albums for Chesky Records. Like every trio that the pianist has worked over this career, this one is an interactive ensemble, each player an integral part of the proceedings. The eight-song program is a collection of five standards and three originals (two by Hersch, one by Gress). If you listen to a lot of his recordings, what's surprising is that there are no Thelonious Monk songs, usually a staple of his sets. Nevertheless, there's plenty of splendid playing throughout the 58+ minutes. It's always fun to hear the trio build up a head of steam and push each other forward. The opening three "standards", "Easy To Love", "My Funny Valentine", and "Three Little Words", are so filled with fire that the listener can barely sit still. Hersch stretches out during his solo yet leaves room for his partners to "strut their stuff". Even the next track, Hersch's "Evanessense", has an urgency that fills the players with great energy (note the brilliant, melodic, bass work of Gress). There's is really only one ballad on the album and that's Gress's lovely "Andrew John." It's hard not to be impressed by the musicianship that makes this piece stand out, from the lyrical piano solo that opens the tune to Gress's fundamental bass lines to Rainey's brilliant work on the cymbals. Yet, there's also the slinky, funky, "Swamp Thang", a Hersch original that glides in on deep bass notes, stop-start drums, and a piano line that slithers around the rhythm section. The pianist helps to ratchet up the intensity with a splendid solo that blends blues, jazz, and a touch of gospel, sounding not unlike Allen Toussaint. 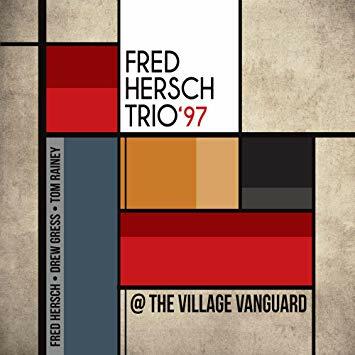 I do not need convince Fred Hersch fans of how enjoyable "@ The Village Vanguard" is or how good his Trio '97 was. From start to finish, this album is a blast, sounding fresh as it did when recorded 21 years ago. 2018 has seen the reissue of Hersch's 1989 "Heartsongs" (Sunnyside Records) as well as his latest Trio's "Live In Europe" (Palmetto Records) - all three are worth your attention! 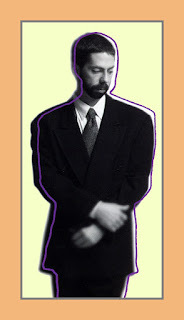 For more information, go to fredhersch.com. May I recommend the excellent interview with Fred Hersch conducted by multi-instrumentalist and producer Leo Sidran for his "Third Story Podcast." I have always wanted to interview the pianist but I doubt I could do justice to his story, music, and life the way Sidran does. It's worth your time. Go to www.third-story.com/listen/fredhersch and give a listen.